Jockel men’s olive rustic boots. Perfectly suited for trekking through the forest or dancing the night away at Oktoberfest, these men’s ankle boots have been crafted from 100% leather with olive side panels and chocolate-brown toes that perfectly matches the front laces and edging. 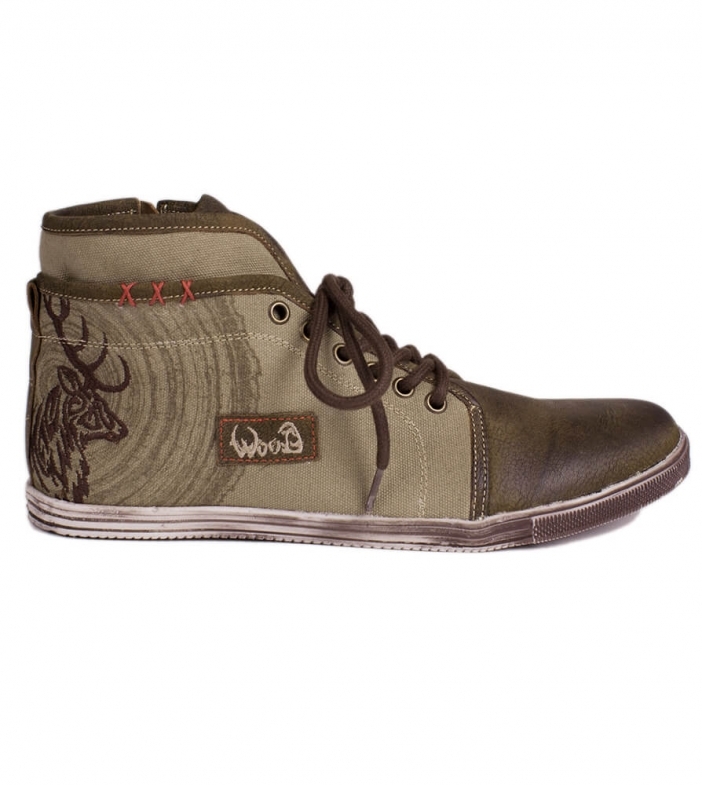 The backs of the boots are emblazoned with a traditional Bavarian deer head emblem. Sehr schöner Schuh und bequem! Die Stiefel sind richtig pfundig! Ich trage sie zu Jeans, Trachtenhosen und auch anderen Sachen. Der Schuh ist sehr gut verarbeitet, leider für mich am Rist zu schmal, deswegen habe ich leider retournieren müssen.